August 14, 2018 – inTEST Thermal Solutions (iTS), Mansfield, MA (inTESTthermal.com)… iTS, manufacturer of the Temptronic® ThermoStream® air forcing system, has developed an enclosure that provides a 55% reduction in the noise caused by forced air during electronics thermal cycling. Electronics testing often requires concentrated air flow to rapidly transition components to specified temperature in a test enclosure. 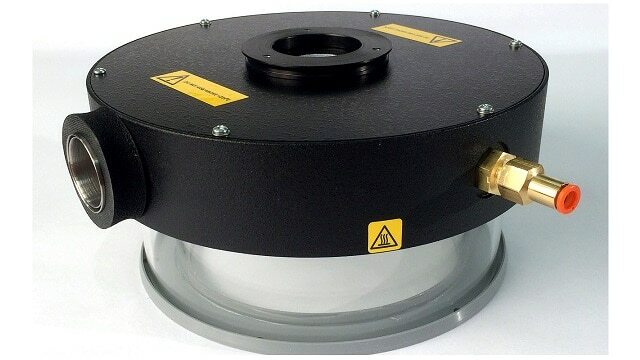 iTS’s new enclosure, called the ECO Quiet Cap connects to the ThermoStream’s air nozzle to reduce the noise and isolate the test subjects. In addition to the noise reduction, the ECO Quiet Cap has a built-in twist lock for quick connect and disconnect; previous generations of thermal caps required hardware and tools to connect. “We’ve listened to the test engineers that use our products and we are delivering a quieter and more convenient system”, noted Greg Martel, General Manager of inTEST Thermal Solutions. Designed specifically for -100 to +225°C applications, the new ECO Quiet Cap will be shipped standard in August 2018 with high capacity ThermoStream models including: ATS Series 545/645, 710/810, 730/830, 750/850, and ECO Series 710/810. The ECO Quiet Cap will also be available as a retrofit to older model ATS and TP0 Series ThermoStream systems. 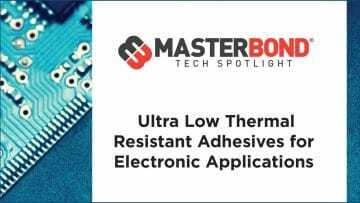 For more details contact the factory: info@inTESTthermal.com or +1.781.688.2300. inTEST Thermal Solutions (iTS) specializes in the design and manufacture of thermal environments for electronics temperature testing and conditioning, as well as industrial process cooling. Thermal equipment includes mobile temperature systems, thermal chambers and plates, and process chillers. We are recognized for expertise in precise control of extreme thermal environments, -185 to +500°C, and rapid transitions between desired temperatures. The iTS family includes three temperature-related corporations: Sigma Systems, Temptronic, and Thermonics. iTS is the Thermal Products Segment of inTEST Corp, Mount Laurel, New Jersey, USA.